Product prices and availability are accurate as of 2019-04-18 02:15:57 EDT and are subject to change. Any price and availability information displayed on http://www.amazon.com/ at the time of purchase will apply to the purchase of this product. 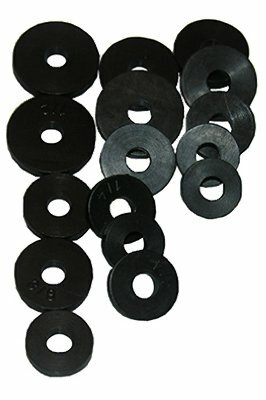 LASCO 02-1123 Faucet Washer, Flat, Small Assortment. Rubber material. Flat washer. Assorted sizes. 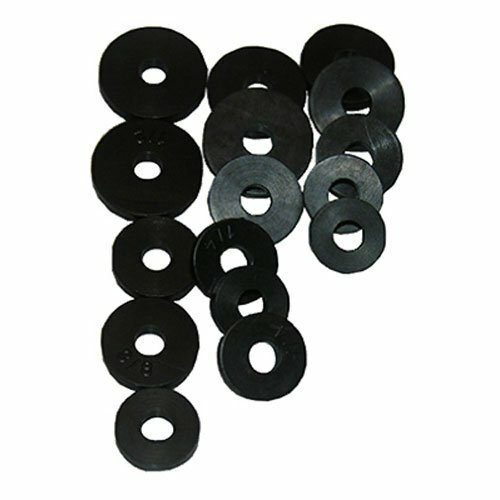 16 Total washers. Use for faucet stem repair. Small, Beveled, Faucet Washer Assortment, Contains, Various Sizes, Carded.